Forgot your password? No biggie, set a new one! 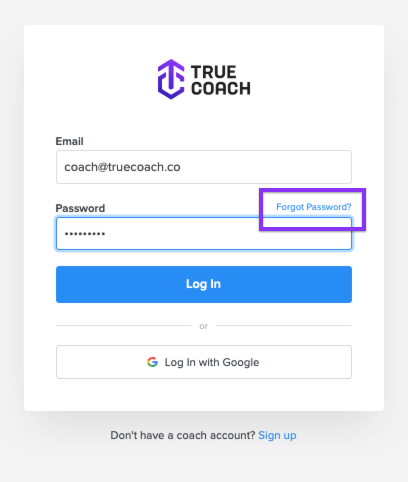 If you forgot your TrueCoach password, the 'forgot password' link on the login screen will send you an email with a link to set a new one.